Joseph David, a former commander of the Boko Haram sect, has confessed marrying two of the 278 school girls abducted from Government Secondary School, Chibok, Borno state, according to Nation. The former Christian said the two girls were part of the benefits that accrued to his office as a Boko Haram commander. The newspaper said David himself was kidnapped by the sect from his native Mubi, Adamawa State, at the age of 22. He claimed to be a student of the Adamawa State Polytechnic, Yola at the time. Now 25 and in security custody after he was captured by soldiers battling the sect, David said he was placed on a salary of N500,000 per month or its foreign equivalent. According to Nation, the Chibok girls offer came soon after he married Faridah, his first wife. 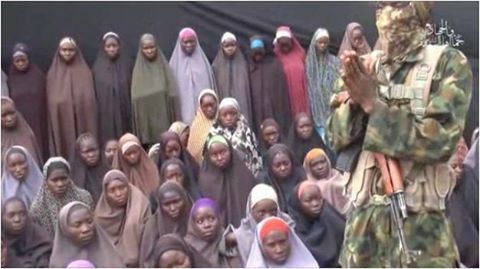 Exactly a week from now, it will be three years since insurgents captured the school girls. While 57 of the captives managed to escape, four were found by security forces, 21 released after government entered a deal with the sect, and 196 are still missing. In the first video released after the abduction, Abubakar Shekau, leader of the sect, boasted that he had married the girls off.